A new junction 10a and link road to the A2070. A new M20 junction 10a and link road to the A2070. 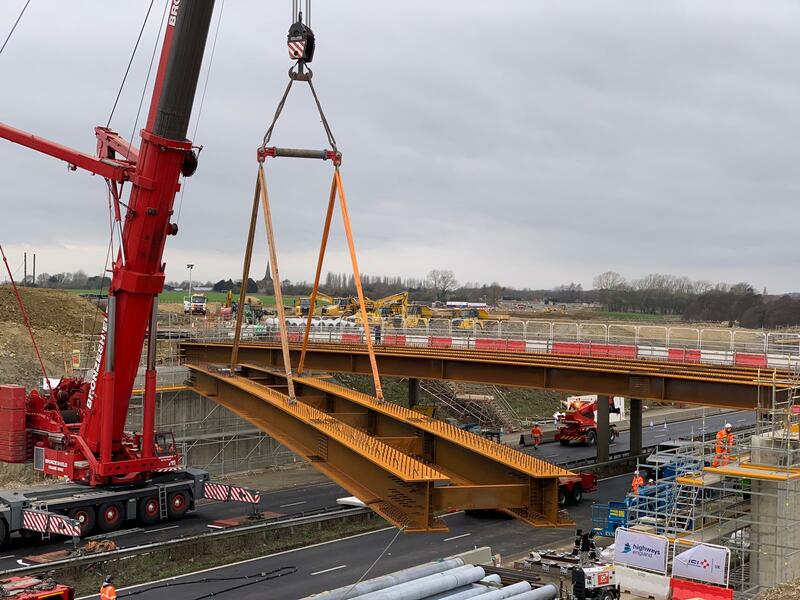 We’ve now successfully installed both the East and West Interchange Bridges which will make up the new motorway gyratory over the M20. We want to thank you for your patience during the weekend closures we needed to complete this work. View a plan of the upcoming works. We predict that the existing M20 junction 10 will suffer from congestion and long delays in the future if additional capacity is not created. We have identified the scheme as essential to the future development of South Ashford. 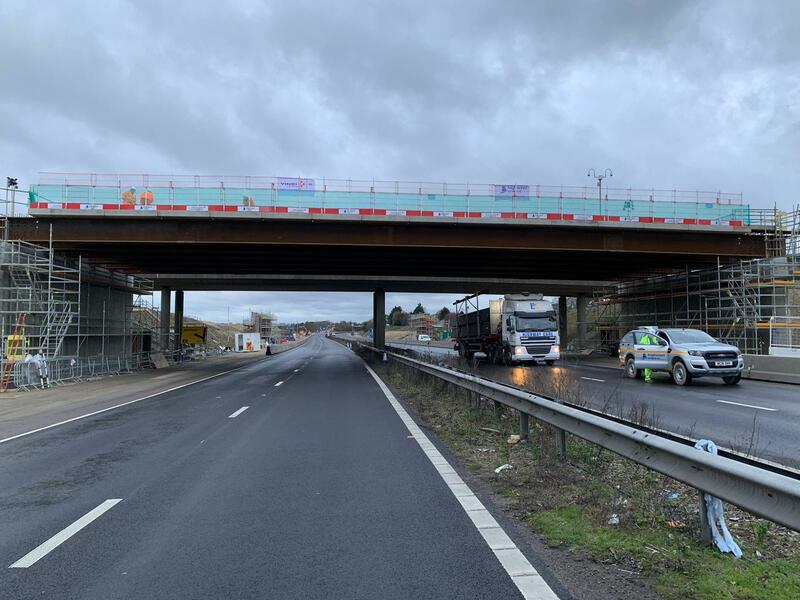 The recent improvements at junction 10, to increase the capacity and improve safety, will allow some development to go ahead but will not be sufficient for all of the proposed developments. We announced our recommended design for this scheme, referred to as our “preferred route”, in 2010. When we decided on this route we took into account the feedback you gave us during our public consultation in 2008. The preferred route is protected from development. This means other organisations won’t be able to make changes to the area before the scheme begins, eg utilities. You can view our preferred route announcement leaflet. We have also produced a Scheme Assessment Report and Public Consultation Report, explaining the factors that determined the choice of the scheme. If you would like to receive a copy of these reports please use the contacts available. Location : The M20 westbound between junctions J11 and J9 . Reason : Roadworks scheme. Status : Currently Active. Period : from 10:41 on 17 April 2019 to 18:00 on 14 January 2020. Location : The M20 westbound between junctions J11 and J10 . Lane Closures : The hard shoulder and lane 1 are closed. Reason : Roadworks. Status : Currently Active. Period : expect disruption until 08:30 on 30 April 2019. Lanes Closed : There is one of three lanes closed. Location : The M20 westbound between junctions J11 and J10 . Lane Closures : Lane one will be closed. Reason : Roadworks are planned. Status : Pending. Schedule : Expect disruption everyday between 20:00 and 06:00 from 30 April 2019 to 31 May 2019. Schedule : From 20:00 on 6 June 2019 to 06:00 on 7 June 2019. Schedule : Expect disruption everyday between 20:00 and 06:00 from 17 June 2019 to 30 June 2019. Lanes Closed : There will be one of three lanes closed. Location : The M20 westbound between junctions J11 and J9 . Lane Closures : Lane one will be closed. Reason : Roadworks are planned. Status : Pending. Schedule : From 08:30 on 30 April 2019 to 08:30 on 28 May 2019. Lanes Closed : There will be one of three lanes closed.